WITH HEAVY HEARTS WE HAD TO SAY GOOD-BYE ON NOVEMBER 30, 2018. IT WAS AN HONOR AND A PRIVILEGE TO HAVE HAD YOU WITH US FOR SO LONG. WE WILL MISS YOUR ROCK STEADY, LOVING PERSONALITY. 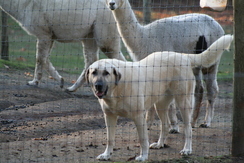 YOU WERE THE CONSUMMATE ALPACA GUARDIAN AND ALPHA MENTOR. RAPHAEL AND ROSEMARY HAVE THE WATCH. YOU TAUGHT THEM WELL. 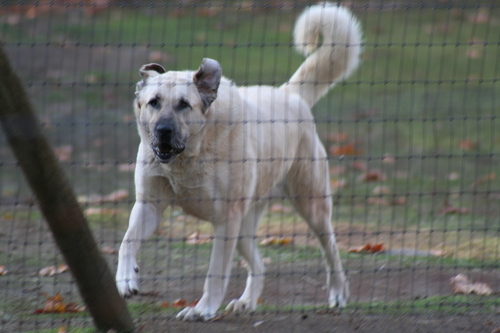 Miss Uriel came to us in February 2007 from an Anatolian breeder in Boston. 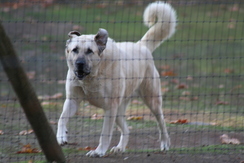 She is registered with the AKC. A bit timid at first, she soon overcame and has become our senior alpaca guardian. 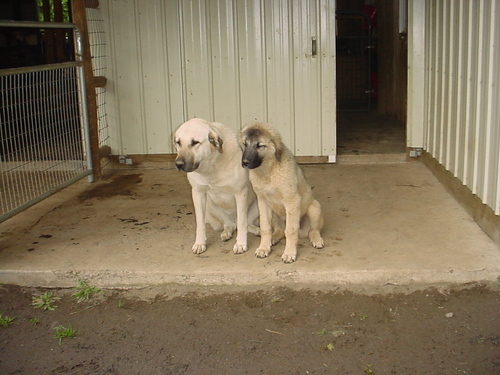 She is an excellent, trustworthy guardian, living with the moms and crias. Uriel loves all two-leggeds and treats, oh, yes, treats! Some may say she's fluffy, but we know the truth.